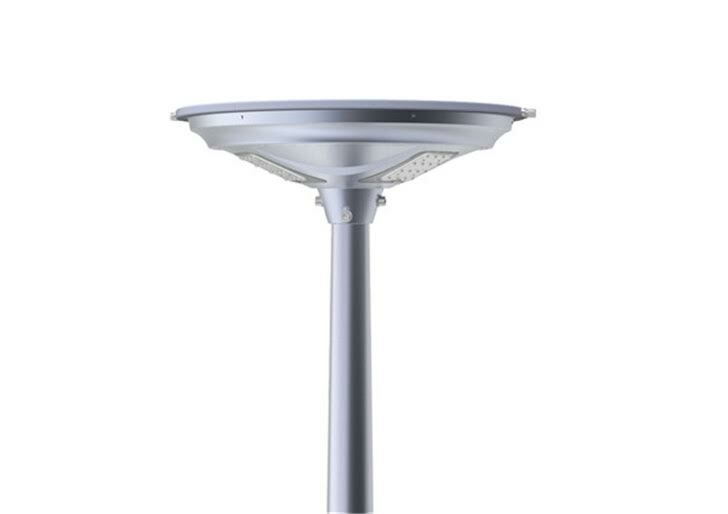 Reliable commercial off-grid solar lighting suitable for courtyards, parks and gardens, pathways, function venues, plazas, resorts and much more. 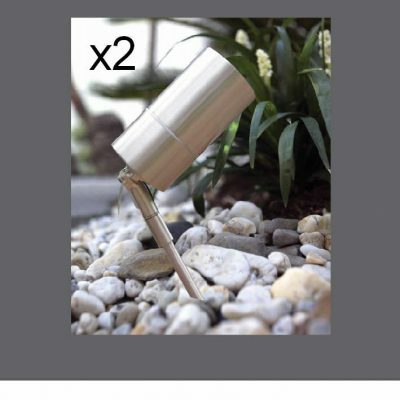 Due to power saving technology, the Strand15 solar outdoor light has the ability to store enough energy to operate over three consecutive nights on a single charge. 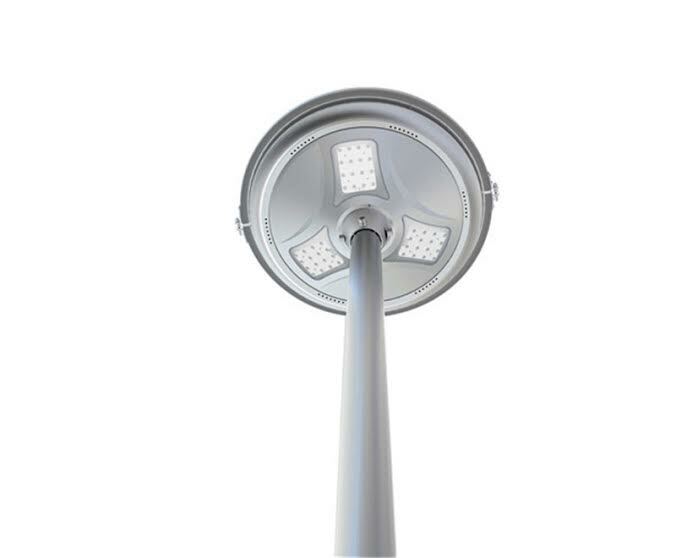 The STRAND15 integrated solar outdoor light is an all in one light where all components are incorporated into one handy compact body. Customers can install this light with ease as there is no configuration or wiring necessary. 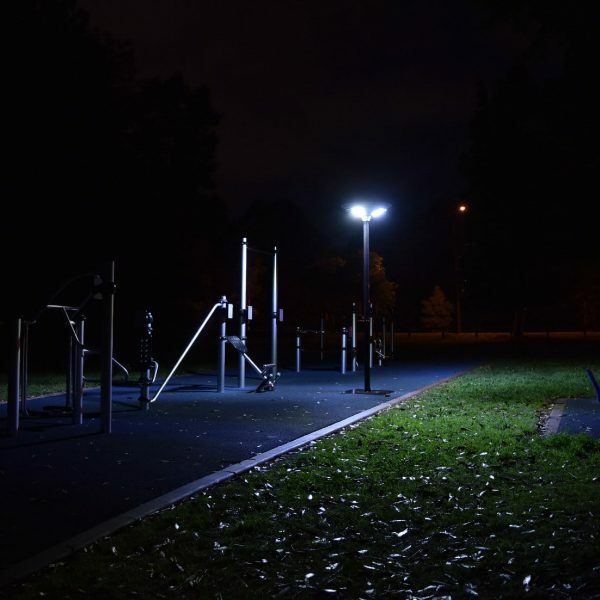 The light has a contemporary style which will fit into most street or outdoor environments and is both compact and heavy duty resulting in significant savings on logistic and installation costs. 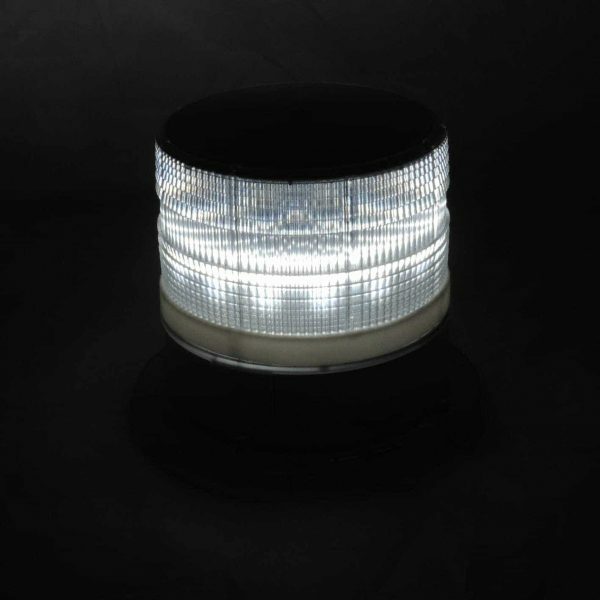 The STRAND15 is able to provide reliable off-grid lighting due to it’s default dimming mode. This light performs in full brightness for the first 5hrs then drops down to 25% until dawn. The replaceable large capacity lithium battery stores sufficient power to operate over 3 consecutive nights during poor (low UV light) conditions. As a result, the reliability and performance of this light is not affected by persistent rain or low UV light conditions. The STRAND15 is, therefore, suitable for courtyards, parks and gardens, pathways, resorts, wedding function centers and other places mains power is not viable or cost effective. 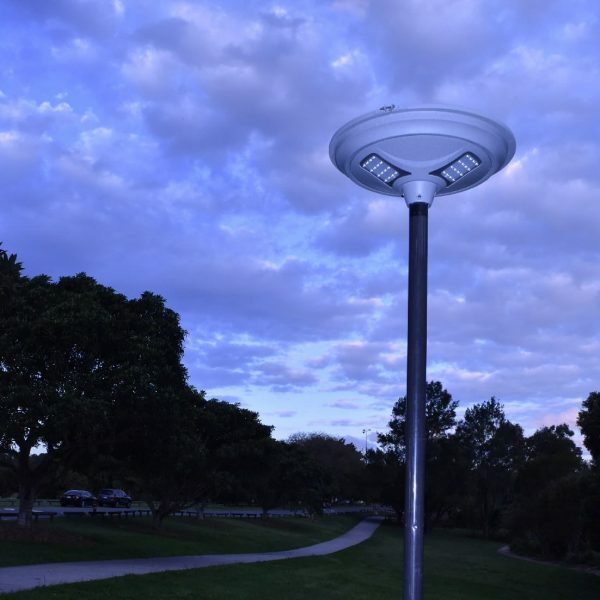 This light is designed to turn on automatically at dusk and turn off at dawn. The STRAND15 solar street light has been independently tested for ‘Distribution Photometry of a Luminaire’ by the Queensland University of Technology. This report is available upon request. Quantity price discounts are available. For a more complete package, we also offer poles ranging in height from 3-5m. Poles are locally made to order. Prices are subject to project requirements so please call our friendly staff for more information. 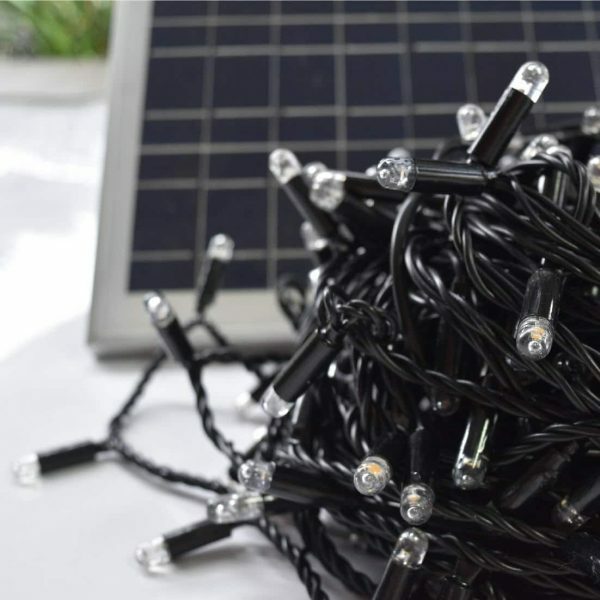 Due to the power saving dimming function and large capacity lithium battery, this light stores sufficient power to light for three consecutive nights on one charge. As a result, rain or low UV light conditions does not affect the reliability and performance. 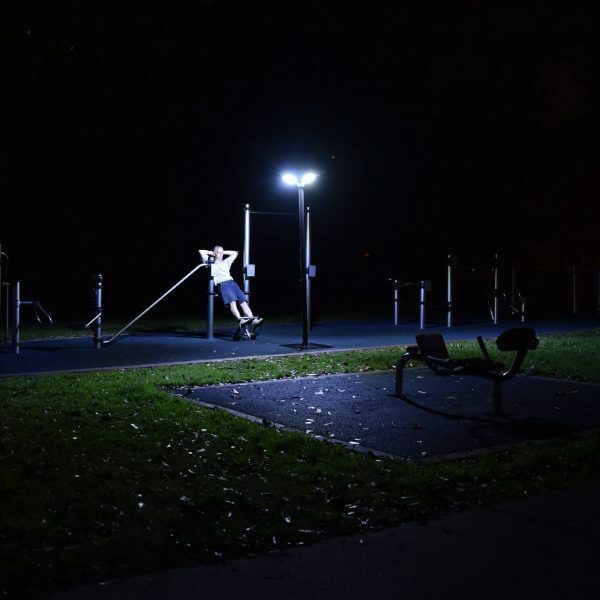 This light operates at 1500 lumen full brightness for the first five hours of each night, then dims to an ambient light level until dawn. An internal light sensor turns the light ON automatically when the ambient light drops below a certain point (usually around dusk). The sensor also turns the light OFF when the ambient light reaches a level sufficient for charging. Minimal stock available. Please contact our office for large quantity orders. 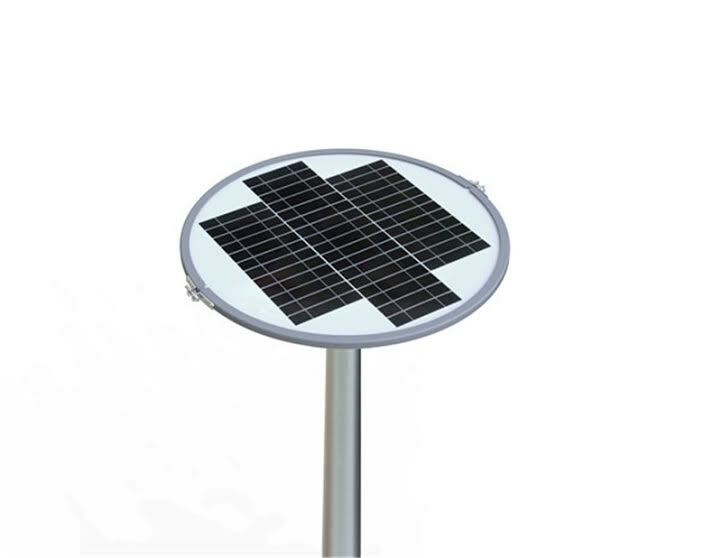 1 x fully integrated solar light with battery, solar pin key, pole mount, and instruction booklet. “We understand why there is such a demand for your lights now, Tenants Love them”.